MODERATOR: Links removed, reported as a virus. I had a challenge a few days ago, I want to burn an image onto a M27C128 from ST, but this specific eprom is not on the IC support list. Due to the missing IC support, then I choose M27128A, but this gave me a burning error after a few bytes. I erased the chip and tried again as AM27C128. This burning went fine and I have able to verify the code (with “Check device ID” unchecked). It's probably okay if it verified. But if you want to make sure the substitute you chose is well suited you should get the full data sheets of the two devices and compare the programming algorithms, pulse widths, margins, etc. Mind you, you can't be sure that the TL866 is following the recommendations, it's very much a cheap and cheerful device programmer. 1. Is the price of the TL866A very large compared to the TL866CS so as to risk opening the device and losing the warranty? 2. Is there a new version of the TL866 currently? I didn't find the price difference between the A and CS to be unreasonable, so I just bought the A version. I've got lots of projects in the queue already. I haven't heard about new versions of the TL866. Warranty? You really want to pay to return to China? Have you checked how much it costs? You can easily turn a CS into an A or whatever, but it's technical interest vs. the $5 extra cost. Is it worth buying this socket for the TL866? Can you put a 20x4 LCD display to the TL866? I want to make the TL866A with the LCD to display the data on the screen, Micro-SD to save the .bin and .hex in the inside of which the LCD can view the list, and Arduino to control the LCD and Micro-SD . Greetings, I'm new to the forum; thanks , everyone, for all the information and work! I need to program several Motorola MCM68766 8kbyte eproms. These are 24-pin DIP packages, very similar to the 2716, except the output enable/input enable/programming pulse all happen on the same pin, which freed up 2 pins for the extra addressing lines. A quick glance at the MCM68766 datasheet, it seems to need 25V VPP but AFAIK the TL866 only manages 21V VPP max. Is it possible to even read the MCM68766 using the TL866? I just installed Minipro 6.50 and I don't see this chip in the selection. I have 6.60 so you could use the help menu to locate a later version of the software. However, I can't comment on the particular device. 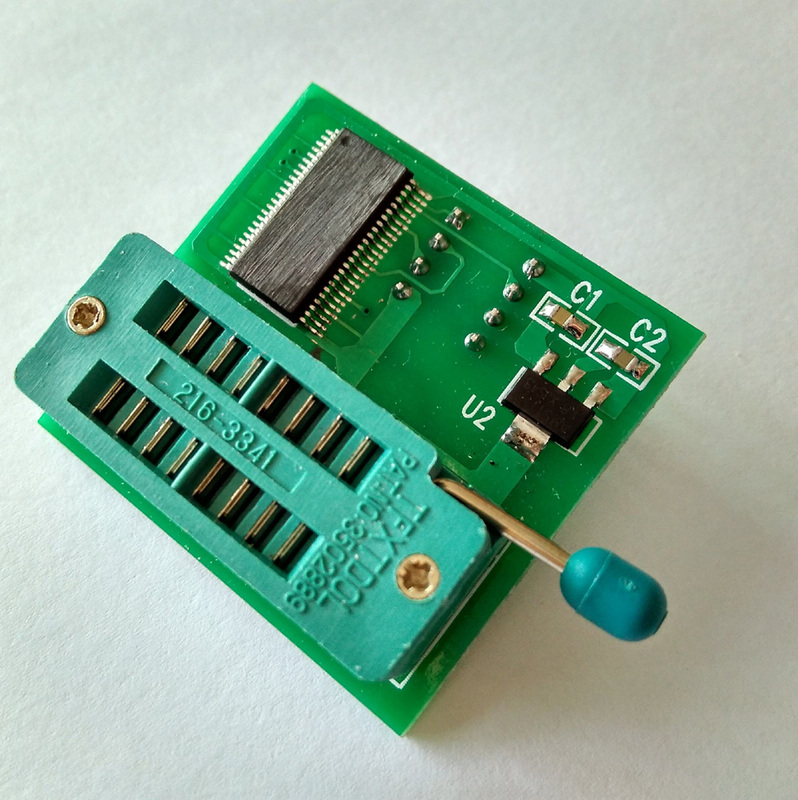 If you have 1.8V SPI flash ROMs you want to program, it may be worthwhile to get this one. (I can't vouch for it; don't have one of these.) 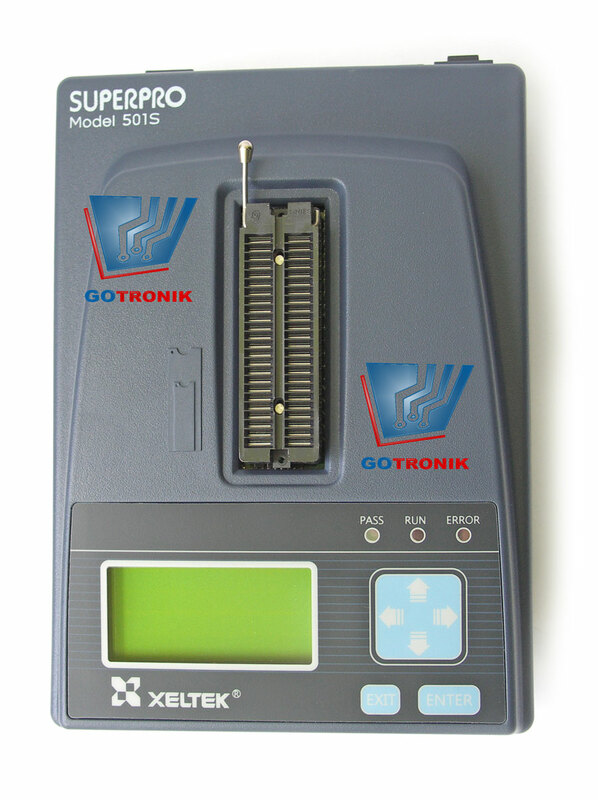 Note that you may need an additional adapter from the DIP socket to the SOIC form factor these flash ROMs come in. And if you are thinking about re-programming a ROM in an existing device, you will probably have to unsolder it, at least partially. In the other hand, if you need to ask whether it is worth buying, you probably don't need it. Do you want to reverse-engineer the TL866's Windows software and rewrite it for your Arduiono? Why?! That would be a lot of work, and I do not see the benefit? If you need a programmer for a professional/production environment, where immediate availability without a PC, fast batch programming etc. are important, then the TL866 is not the right starting point, I'm afraid. My idea is a challenge, not production. If it is a question of production, I directly buy SuperPro Progrrammer. 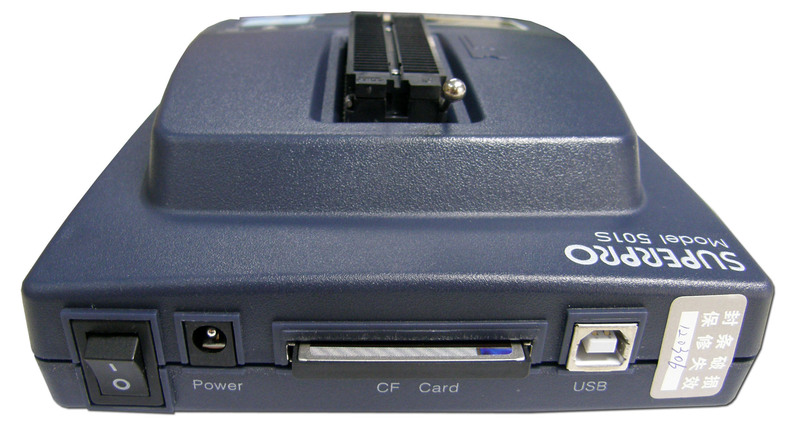 My idea is to modify the TL866A by adding an LCD and a Micro-SD card to use as a laptop without using the PC. I can use Arduino for this, before, I must know if I can extract information if it is possible to add LCD somewhere with Arduino or a PIC. The LCD monitor is Arduino or a PIC, data as the list of devices are stored in the MiniPro v6.60. This PC program I have to capture the commands that it sends to the TL866A, the rest it includes the PIC18F of the TL866A. If you control the data to be sent, the same as the MiniPro 6.60 can do an Arduino board or a PIC. It is good to get the TL866A wiring diagram to make it easier but getting it is difficult to impossible. To me it would make more sense to integrate a single board computer like a Raspberry Pi or BeagleBone Black that runs Linux and use existing software to control the TL866, rather than trying to write your own software for an Arduino. I guess if you want to use the Arduino, you could use the open source software to figure out the protocol the TL866 uses. How do you know that? 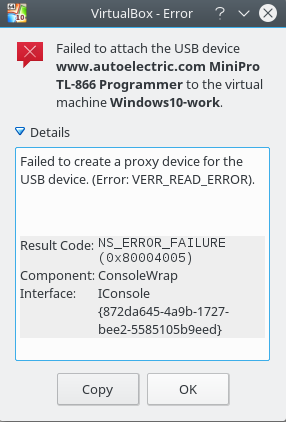 I would have assumed that the PC manages the device list, and configures the TL866 for every individual device to be programmed. Pretty much that. See this file (warning, ~4 MB) for the kind of information the PC software sends. Fitting that all inside an 8-bit Arduino might be tough. Thanks for the link. I did not know it was done. It is a good idea to do it from the Raspberry Pi, more direct. The problem that Raspberry uses operating system and Arduino or PIC firmware, smaller and does the same. I was just looking for the data that is on this website. (Thanks to the partner who put the link). It occupies that information 4.3 MB, it does not fit directly into the Arduino. Use a Micro-SD card for information on each device as shown by the 4.3 MB link. The tests I have done with Arduino UNO is to embed two photos inside the microcontroller and get it through the serial port to the PC. A very small jpg and other png. Unencrypted and encrypted. The microcontroller of the TL866 trying to hide is a PIC18F87J50. As you can see, it occupies 128K. Some of the information is in PC software 6.60 and sends commands to the TL866 to configure the selected device. TL866 has many switched transistors, it also has that data to configure the data. It does not use extra EEPROM on the TL866. Too bad that TL866 does not release its source code from its 6.60 software. Obviously you would not parse a header file on the Arduino. You would convert it to some sort of indexed binary format that you can efficiently search. How will you access the PIC? I imagine they implemented the USB stack directly on the PIC, rather than using async serial to talk to an FT232-like device. How are you doing USB host on the Arduino Uno? Or with Arduino ONE or with another Arduino. Has anyone been able to write to Atmel ATF16V8? Every attempt gives a verify error after the write. And any readbacks are all 1s. I'm using 6.60 version, and the PLD is on the list of supported devices. I read through all this thread and it seems some have gotten it to work after some hickups prior to version 6.50. Yes, I can definitely confirm that this has worked for me. I have struggled with older GALs (which were nominally supported; but they might have been bad samples from my junk box). But the ATF16V8 worked without any issues. I have programmed a few dozen of them for a little project, http://e-basteln.de/asteroids/asteroids_highscore.html. I am still on software version 6.17 for the TL866. Well shoot. I wonder what I'm doing wrong. I bought a fresh new supply from DigiKey of ATF16V8C, but they will not program. Perhaps ATF16V8B is only supported, not C. I successfully can program Lattice GAL16V8B, but they are hard to supply. Mine were indeed ATF16V8B types. That's what I did - bought an A version plus 10 adapters on Banggood or eBay, I think. No need to chase down connectors or reflash to change the firmware. Also available in their stores if you have a local one. I got 3 for price of 2 on sale in my local store. A warning: The programmer worked some months ago. Then I installed the latest version v6.60 on new Windows 7 installation, and it said it needed a firmware upgrade. I did flash it, but at the end it said flash failed. When I disconnected and connected the USB device, the yellow LED is blinking. Sometimes it keeps blinking forever, sometimes it stops after some seconds and the device is detected by the operating system. But I can't use it anymore in Windows. I didn't follow the whole thread, is there an open source alternative meanwhile for the programmer? Would be nice if I could use it from my main Linux system.